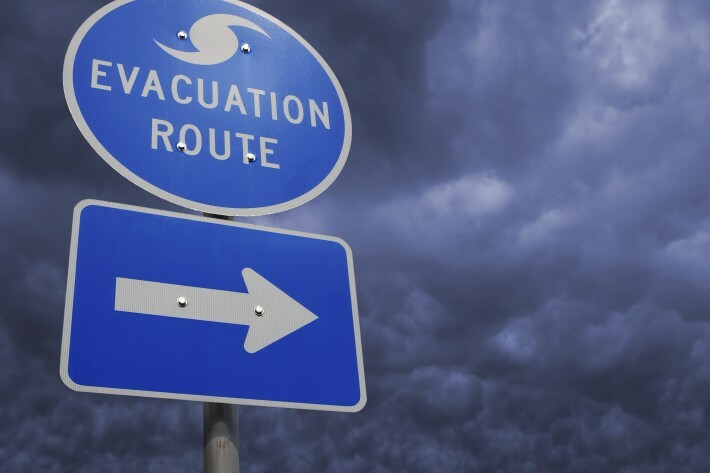 In the aftermath of Hurricane Sandy’s devastation, it would be all too easy to blame some of its victims for refusing to heed mandatory evacuation orders. Twenty-six people are dead along the storm’s path, and nearly 100 homes are destroyed. New York’s iconic subway system is under water, as is much of lower Manhattan—the result of a 14-foot storm surge. Nearly 6 million people lack electricity throughout the Northeast. Nearly 375,000 New York City residents had been ordered Sunday to head to inland shelters. Despite calls to evacuate from the mayor and the governor, and the declaration of a state of emergency in New York by President Obama, many refused to leave their homes, possessions and pets behind. By Monday morning, only 3,000 had checked into shelters, leaving the vast majority unaccounted for (although some might have left the city or stayed with friends or family in other areas). However, while the decision to act preventatively in the face of a disaster is an obvious one for public health authorities—indeed, it defines their mission—for ordinary citizens, following evacuation orders isn’t so simple. Though my 10th floor Manhattan apartment wasn’t in a mandatory evacuation zone, my childhood home during 1992’s Hurricane Andrew was. On the first night of that storm, I huddled with my family under several mattresses stacked haphazardly in the main hallway of our Miami home while Andrew wreaked havoc on South Florida. My little brother had been born only five days before, and given that all the routes out of harm’s way involved trying to head north off of the Florida peninsula through standstill traffic with a newborn, my father decided that hunkering down was our best option. At 8 years old, the gravity of the situation couldn’t hit me until I emerged from the night’s cocoon to the devastation that befell my neighborhood—and the rest of the state. Twenty years older, as an epidemiologist and public health advocate listening to the fury of Sandy rattling my windows, I understood the arguments for evacuation. The first and most intuitive is that authorities had weighed and measured the risks, and decided that it was better for those living in certain areas to leave their homes. But what if the authorities were wrong, and Sandy had turned out to be another Hurricane Irene—knocking over a couple of lawn chairs and blowing some leaves off trees late last summer, but causing little damage of consequence in the city? After all, evacuation isn’t easy. It means leaving behind all that you care about and the place where you’re most comfortable to stay in a public space with strangers, not knowing when you’ll return. Ethically, the argument public health authorities make to residents of potential disaster zones doesn’t feel right, either. It’s inherently paternalistic, assuming that people can’t make their own best decisions. It violates their autonomy to choose for themselves, forfeiting that right to the authorities. Then there’s the shadow argument that attempts to sidestep the thorny ethical problem—that orders of evacuation actually exist to protect first responders. That argument goes something like this: Some places are higher risk than others, and residents who stay in areas ordered to evacuate are both more likely to be in harm’s way and to endanger the rescue personnel who have to save them if and when things go wrong. By staying, those who ignore evacuation orders are both hogging response resources that are in short supply and exposing brave service people to unnecessary harm. But what if residents were to waive their right to first responders? Should they then be permitted to stay if they’ve ensured they’re not putting anyone else in harm’s way? Another question has to do with enforcement. Although the New York Police Department spent Monday morning barking evacuation orders at stubborn residents over loudspeakers, those orders are, in the strictest sense, non-enforceable. While the authorities can remind, even cajole people to leave their homes, they do not force them to do so, meaning the choice to leave remains, in the end, with the resident. Both why authorities issue evacuation orders and how enforceable they are center around the question of when and why public health authorities can tell people what to do. This issue is at the core of public health, a practice founded on collectivist principles that inherently subjugate the autonomy of the individual to the wellbeing of the collective. And public health ethicists have wracked their brains around these questions. Consider, for example, outdoor smoking bans—are they justified because it’s simply better for the smoker not to smoke, or because smoking really does hurt others? As another example, consider motorcycle helmet laws—it’s clear that they decrease motorcycle mortality—but what if individuals are confident in their riding abilities and like feeling the wind flow through their hair as they ride? Here’s the twist: For most individuals, be they disaster-zone residents, smokers, or motorcyclists, the risk of actually experiencing a bad outcome from playing the odds is pretty low. That’s why we hear stories about someone’s great uncle who smoked like a chimney and never got lung cancer, or weathered the storm on a beachfront property without a scratch. But the risk of the outcome among the population of those who engage in a particular risk behavior—like choosing not to evacuate during a hurricane—is pretty high. In this way, evacuation highlights one of the most difficult challenges to public health: In the absence of the ability for authorities to enforce, public health requires individuals who may themselves have low chances of ever suffering a particular outcome to voluntarily do things that ultimately curb the likelihood of that outcome among the entire population, even if those things may not influence their own risks all that much. In effect, it requires that individuals sacrifice for the collective—something most of us aren’t very good at. In the end, Sandy—like Andrew—was a catastrophic storm, warranting evacuation to protect the population, even if for individuals, the decision was not that easy. Article originally posted on the2x2project.org, an online publication sponsored by the Department of Epidemiology at Columbia University. 2×2 aims to inform the health conversation through timely and effective communication of emerging public health science.